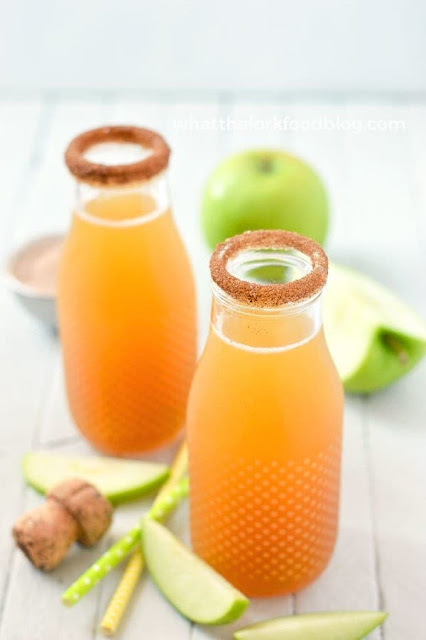 I first saw these apple cider mimosas on Delish‘s Facebook page, they shared a video for them which I also shared in my newsletter last month. They used some caramel vodka which sounds awesome but I wanted a bit more traditional and to keep it easy. And you really can’t get any easier than two ingredients. Dip the rim of a champagne glass in water. Dip in cinnamon sugar to rim the glass. Pour 2 oz. of apple cider in the glass and top with 2 oz. (or more) of champagne. Garnish with apple slices, if desired. Serve immediately. 0 Response to "Must Try Fall Drink: 2 Ingredient Apple Cider Mimosas"